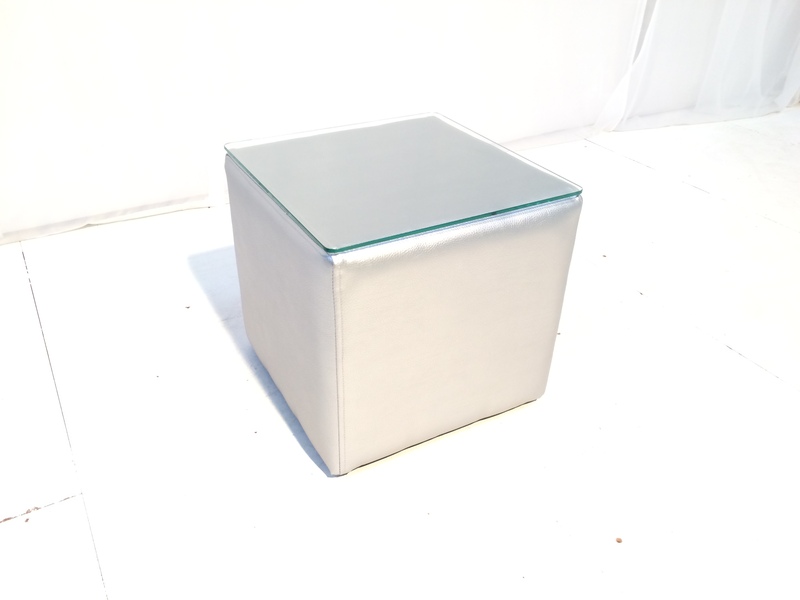 Our Cabo silver cube table is covered with faux leather. 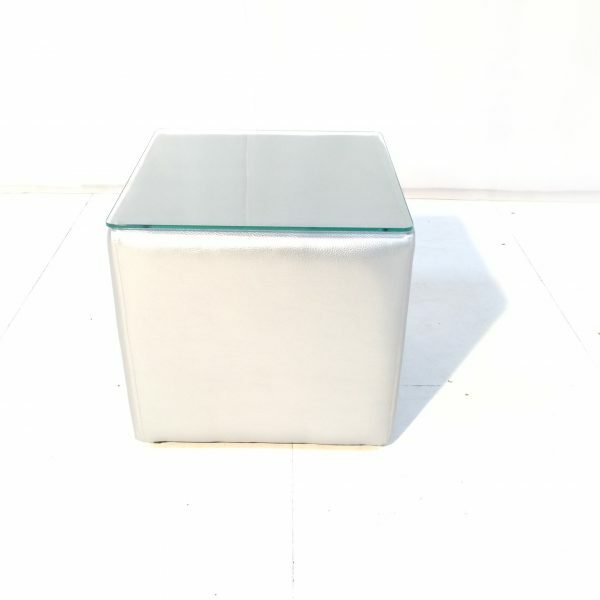 It has a glass top and is kept secure with invisible non-slip feet. 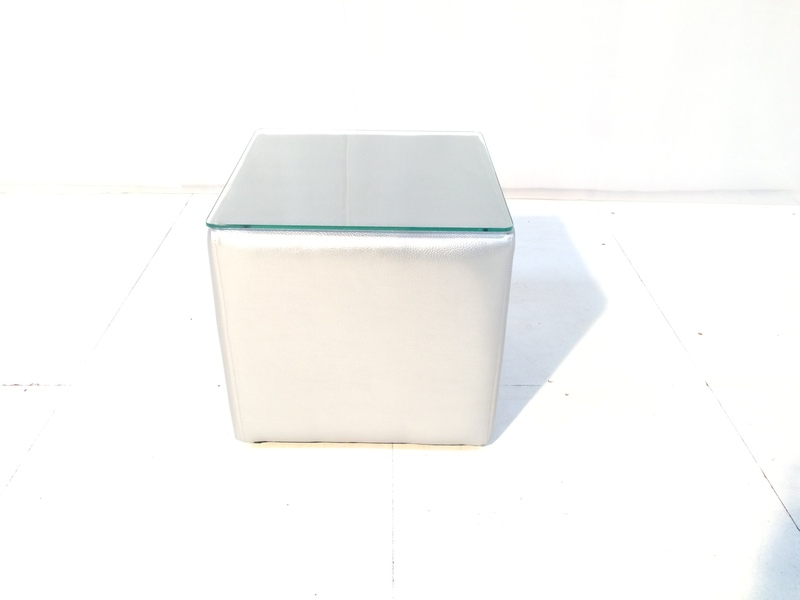 This small size table is also available in black and white. 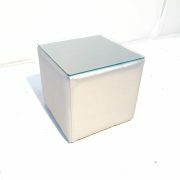 Hire some of these practical and stylish side tables with pretty much any of our furniture ranges. 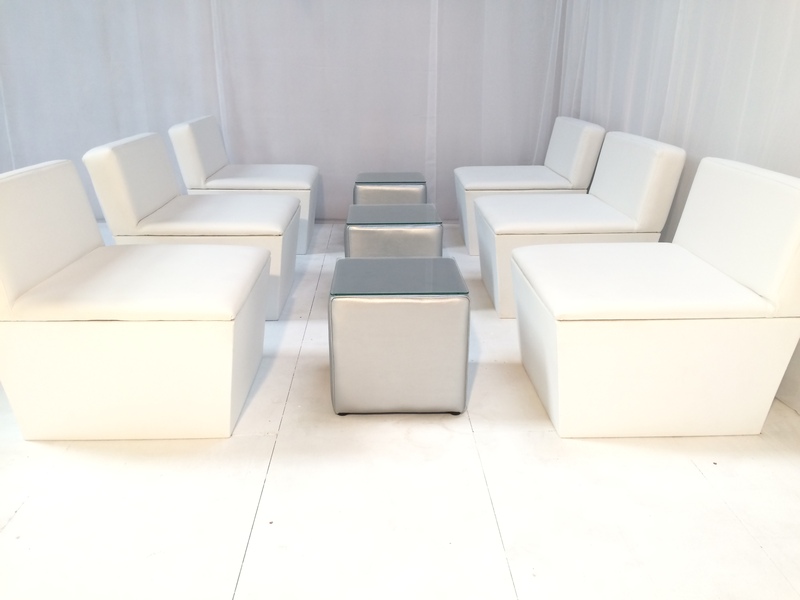 Team them with our elegant white faux leather hire furniture such as the Ana Mandara sofas, and the Club Lounge Sofas for a wedding. 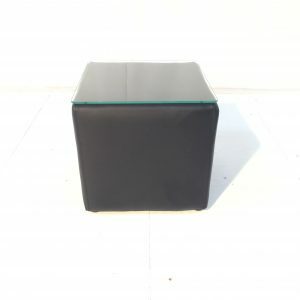 Corporate customers could group them with the cube tables in black and white for a striking monochrome theme. 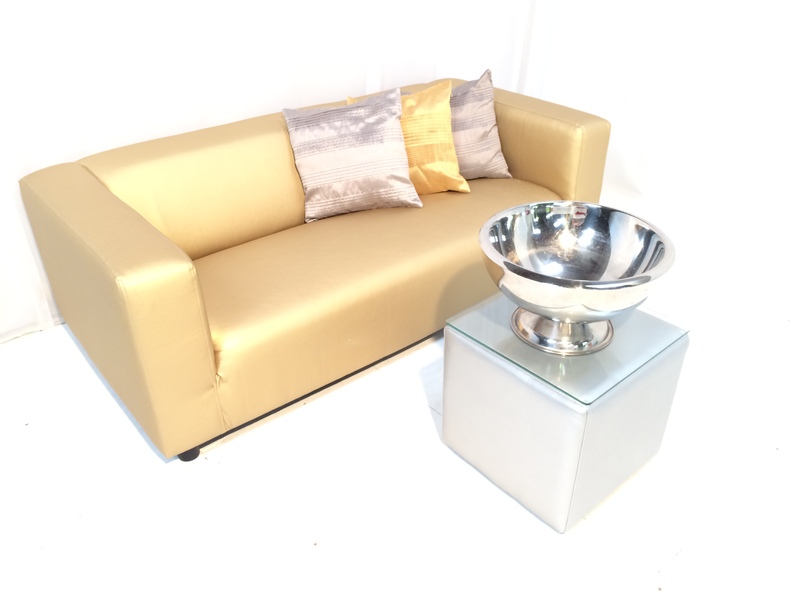 If bling is more your thing, then combining silver and gold can create a dazzling metallic effect. 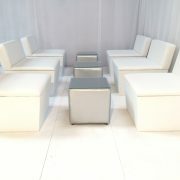 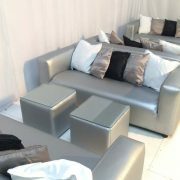 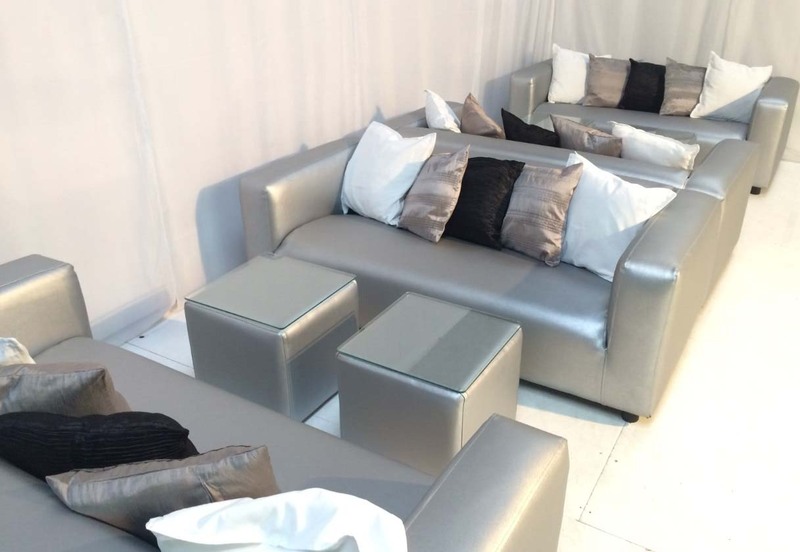 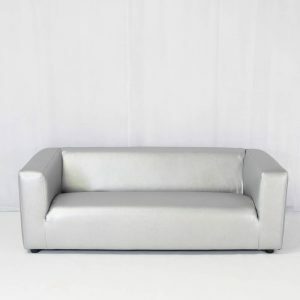 Team some Cabo silver cube tables with our Gold Club Lounge Sofa. 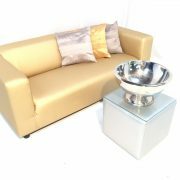 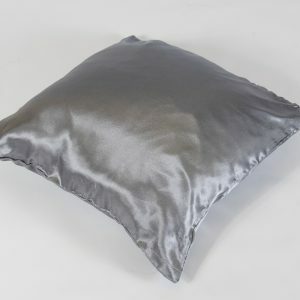 Why not add a shiny silver Champagne Bowl and some Pewter Scatter Cushions to add even more dazzle! 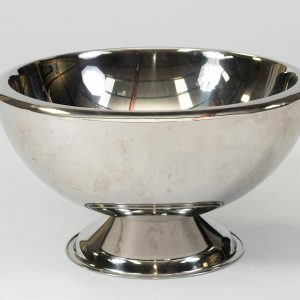 It’s time to shine – add our Silver Cabo Table to your quote now!